Hearing aids cost around $1,000-$5,000 per aid (most use two) and people often have to pay out of pocket as many insurance companies would not cover expenses. They need to be replaced every 5 years and many cannot replace due to high costs. Also add costs on visits to audiologists, ear molds (that need to be changed more often than hearing aids), batteries, speech and listening therapies (more often for younger people). 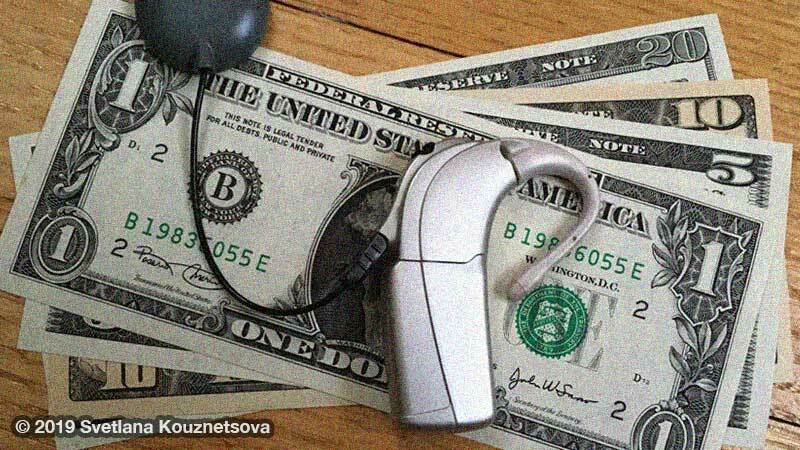 Cochlear implants have an even higher price tag due to surgery that costs around $50,000 to $100,000 per one ear. More people are implanted bilaterally. Luckily many insurance companies cover surgeries but not all of them cover full price — some pay like 80% of expenses. Also additional prices on audiologist visits for mapping (they are more frequent during the first year), hearing practice sessions (more frequently for kids), batteries, external processor part replacements (like if a cable or earhoook or headpiece is broken or worn out — they cost hundreds dollars). External processors are upgraded every 5–7 years which also means additional expenses. I’m a former hearing aid user and a current cochlear implant user. Luckily insurance covered my CI surgery in full as well as the following audiologist appointments. The latest CI processor upgrade I had was 8 years ago that cost around $9,000 which insurance fortunately covered fully but my audiologist and I had to fight to have them cover the upgrade. A few years ago I had to replace rechargeable batteries (my processor runs only on rechargeables) and each cost around $250 (I use more than one battery as one lasts 10 hours). I have a different insurance now, so they would not cover it fully — only 80%, so I paid the remainder 20%. Hearing devices may help deaf people hear better but they do not cure hearing loss or benefit everyone in all situations. That’s why many deaf people rely on additional cues like lipreading, captioning, sign language, cued speech, etc. I hope this helps hearing people understand why hearing devices are not for everyone or are effective in all situations and why they need to be more empathetic and understanding of deaf people when it comes to communication and information access. People with disabilities make the largest and sadly the most ignored minority and are often excluded from diversity and inclusion equation. Society needs to make all products, services, and environment fully accessible and inclusive to people with disabilities to enable them to participate in society and perform on an equal footing with their non-disabled peers. Many accessibility examples are universal design benefiting everyone — not just those with disabilities. 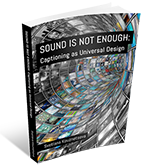 For example, captioning helps more people than just deaf people in the same way ramps and elevators help more people than just wheelchair users. If you want to better understand people with disabilities and make your products, services, and events more diverse, inclusive, and accessible, contact us for consulting services and speaking engagements.